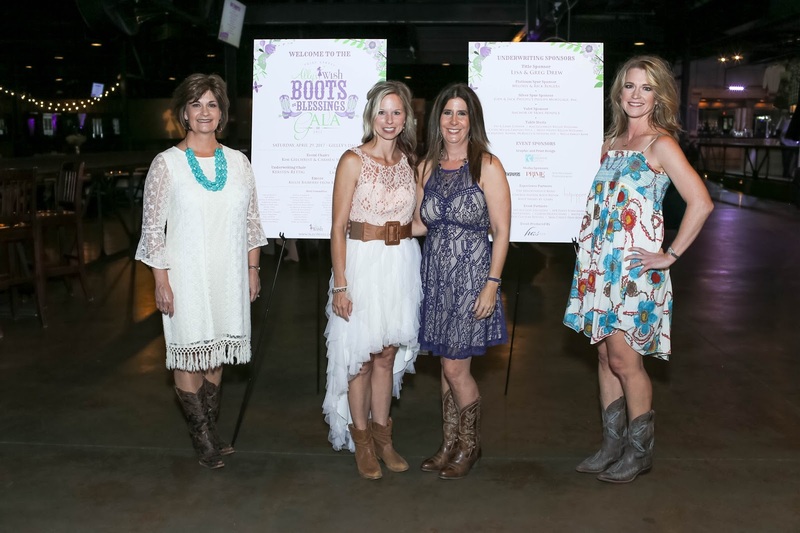 Join Ally’s Wish on April 21, 2018 for their 4th Annual Boots & Blessings Gala at the Austin Ranch at Hilton DFW Lakes for a boot scootin’ great cause! The gala evening will include a cocktail hour, a seated dinner buffet, and live Country-Western entertainment from The Breckenridge Band. Amy Vanderoef will be the evening’s emcee. Funds raised from this event will benefit Ally’s Wish. The Flower Mound-based organization grants wishes to young mothers battling terminal illnesses so they may create lasting memories with their children and loved ones. Individual tickets are $150 and tables of 10 are available for $1,500. Corporate and individual sponsorship levels begin at $2,500.